If you use a Windows Phone, you can download the Windows Phone app in the Windows Phone store. 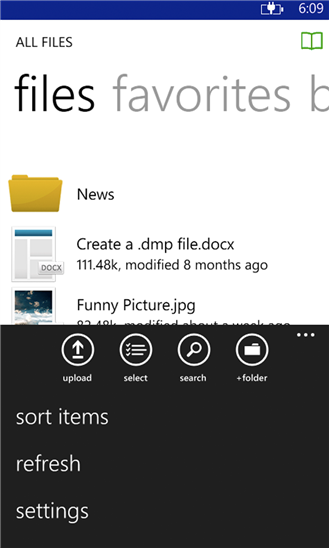 The app allows you to view and manage files directly on your Windows Phone device. In your Windows Phone, press the app icon to launch the app. The login window displays, prompting you to enter your login credentials. In the Host field, enter the host of the system (for example, syncedtool.com). When you have access to your account, you can use the app to manage content. Press the Files link to view and manage your files. Press the Favorites link to view a list of your favorite items.